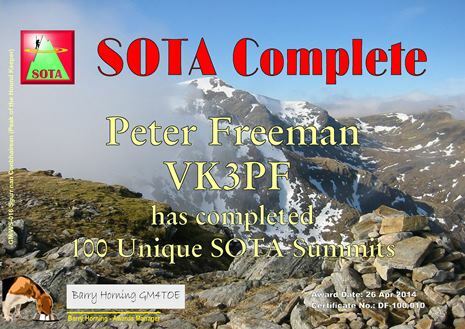 As you can tell from my blogs, I caught the SOTA bug. 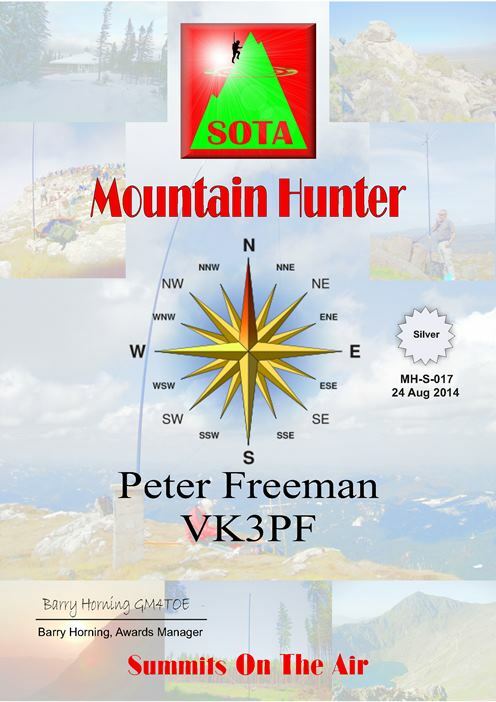 I also started activating and chasing/hunting National Parks within Victoria (VK3). Later, the South Australian National & Conservation Parks Award was announced, so I started chasing the SA (VK5) parks. 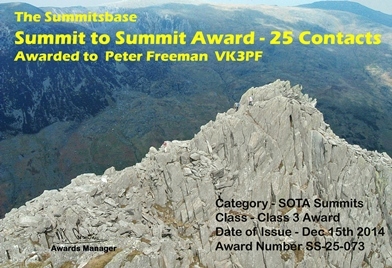 This page shows some of the Award certificates. 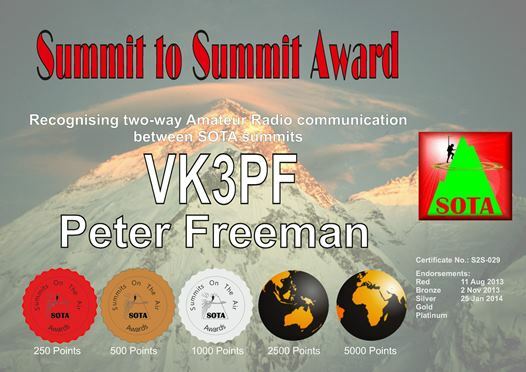 Thank you for being such a great contributor to the Amateur Radio Community. 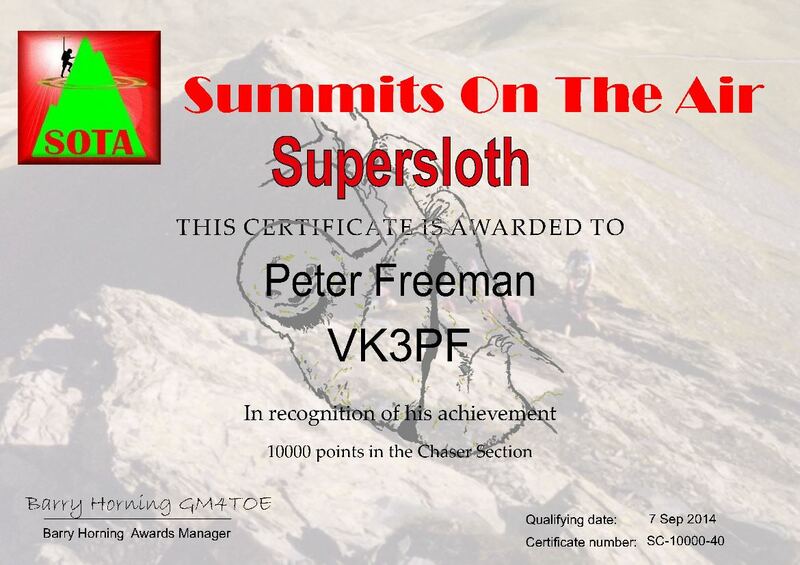 On the weekend that some VK2 SOTA enthusiasts chose to celebrate the anniversary of SOTA VK2 becoming live, I achieved the 10,000 Chaser point milestone – Super Sloth. 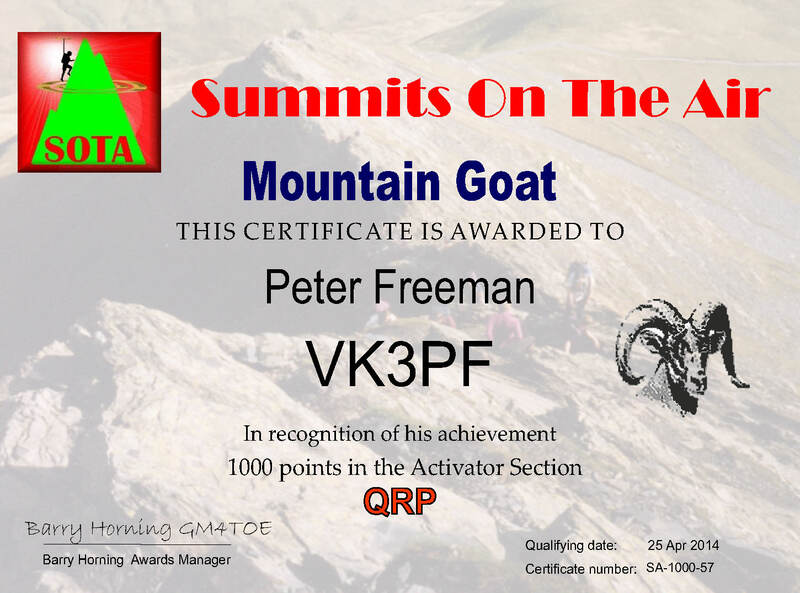 The contact that took me to the mark was Mike 2E0YYY/p on G/SP-014 (2 points). 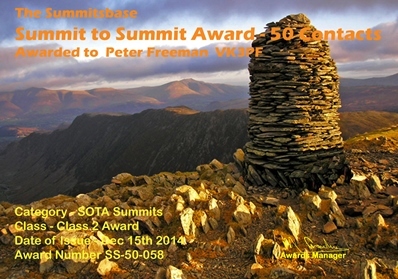 Many thanks to all activators I have worked to make it to this score. The steps between certificates become larger as you earn more points. 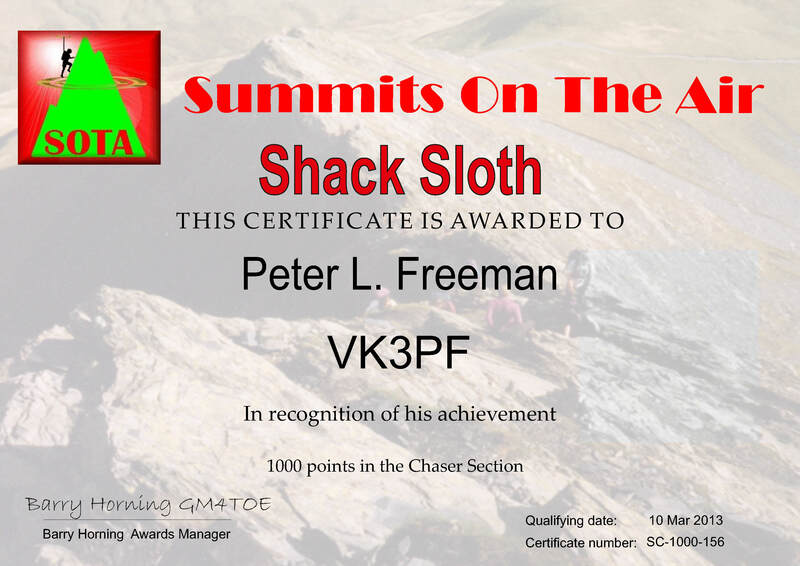 The next Chaser milestone is 25000 points: 25 x Shacksloth. 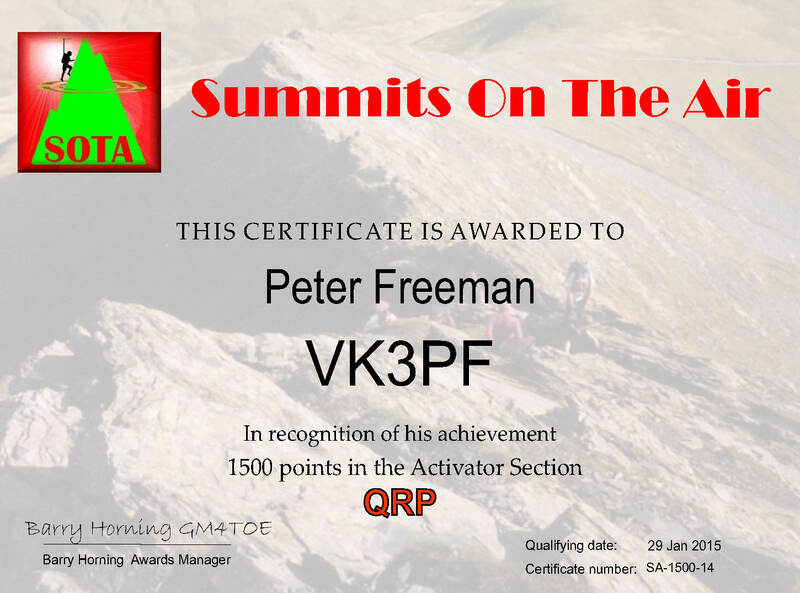 I reached that level on 29 January 2017, with a contact just after UTC rollover, only minutes after my first contact with the summit for the local day. 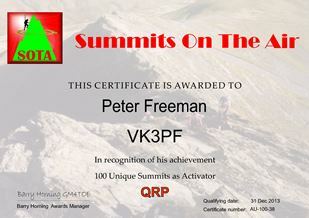 So a big thanks you to Mark VK3PI/p for the 8 points that took me over the line. Again, thanks to all Activators that I have Chased to get there. 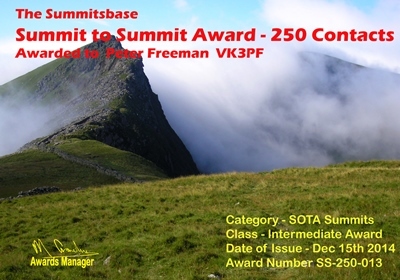 In conjunction with the UK Microwave Group, SOTA also offers distance based Awards for contacts on the microwave bands. 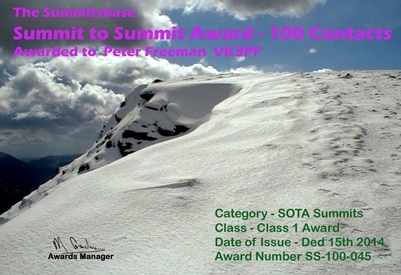 The Summitsbase group in the UK have a number of awards, including some that are compatible with SOTA.